When Reebok makes work boots, it makes them the right way. These Reebok Women's RB167 Black Met Guard Mid Beamer Waterproof Composite Toe EH Boots are built to last. From their protective features to their cushioning insoles, your feet will have it all. Your to ... (see full details) (see specifications) #RBKRB167. When Reebok makes work boots, it makes them the right way. These Reebok Women's RB167 Black Met Guard Mid Beamer Waterproof Composite Toe EH Boots are built to last. From their protective features to their cushioning insoles, your feet will have it all. Your toes will have the safety of the composite toes within these Reebok boots, and these meet the ASTM F2413 safety standard to ensure your feet are properly guarded. You'll also take comfort in knowing these women's boots have electrical hazard protection. Is that not quite enough safety features for you? In that case, these black boots have yet another. They feature met guards that'll make sure you're protected against impacts that can occur to the tops of your feet. This safety toe footwear has Reebok FootFuel, which is a footbed technology that's engineered to deliver higher levels of control, comfort, and energy return. Developed to be high performance women's footwear, FootFuel responds on impact as it absorbs shock and supports your feet. As you take each step, FootFuel polymers expand, which launches your feet forward to give you that boost you need. The advanced technology retains its cushioning and rebound properties for the life of the black shoes. With just the right amount of cushioning FootFuel provides you with both comfort and stability, which gives your feet a unique feet and explosive performance. We're not done yet - there are a couple more special features included in this Reebok footwear. How great is that? These Reebok Women's RB167 Black Met Guard Composite Toe Waterproof Boots are also waterproof to keep your feet dry all day. They're non-metallic, too. The list seems never-ending, so we'll wrap it up so you can order your pair today from Working Person's Store! 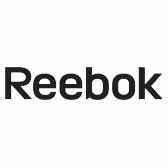 Reebok Boots: Women's RB167 Black Met Guard Waterproof Composite Toe Boots is being added to your cart.